Dorothy Leigh Sayers (IPA: usually pronounced /ˈseɪɜrz/, although Sayers herself preferred /ˈsɛːz/ and encouraged the use of her middle initial to facilitate this pronunciation) (Oxford, June 13, 1893–Witham, December 17, 1957) was a renowned British author, translator and Christian humanist. She was also a student of classical and modern languages. She is best known for her mysteries, a series of novels and short stories set between World War I and World War II that feature English aristocrat and amateur sleuth Lord Peter Wimsey. She was a prolific writer of detective fiction, publishing more than a novel per year on average for over 15 years during the 1920s and 1930s. In her later career, she focused on other pursuits, including works on religious themes. Sayers translated several important works, including The Song of Roland and Dante's Divina Commedia, which she considered to be her best work. She is also known for her radio plays and essays. Sayers, who was an only child, was born at the Head Master's House, Christ Church Cathedral, Oxford, on June 13, 1893, where her father, the Rev. Henry Sayers, M.A., was chaplain of Christ Church and headmaster of the Choir School. (When she was six he started teaching her Latin.) She grew up in the tiny village of Bluntisham, Cambridgeshire, after her father was became a clergyman there. The elegance of the Regency Rectory parallels her description of Duke's Denver, Lord Wimsey's family seat, while the church graveyard features the surnames of several characters in what many regard as her best mystery, The Nine Tailors, and the proximity of the River Great Ouse explains her vivid description of a massive flood around the village described in her Fenchurch mystery. She was educated at the Godolphin School, a boarding school at Salisbury. Her father later moved to the less luxurious living of Christ Church, also in Cambridgeshire. In 1912, she won a scholarship to Somerville College, Oxford, studying modern languages and medieval literature. She finished with first-class honors in 1916. Although women could not be awarded degrees at that time, Sayers was among the first to receive a degree when the situation changed a few years later, and in 1920 she graduated MA. Her personal experience of Oxford academic life influenced her novel Gaudy Night. Dorothy's father was from a line of Sayers from Littlehampton, West Sussex, and her mother (Helen Mary Leigh, from which she derived her middle name) was born at "The Chestnuts," Millbrook, Southamptonshire, to Frederick Leigh, a solicitor, whose family roots were in the Isle of Wight. Dorothy's Aunt Amy (her mother's sister) married Henry Richard Shrimpton, a fact that was to become important later in Dorothy's life. The 1920s in Britain was a time of social upheaval. The massive mobilization of able-bodied men in World War I had sent many women into the paid workforce. While the men returning from war expected to return to their old positions, the women who enjoyed self-sufficiency were not ready to leave. In addition, many women had to be self-supporting in view of family members disabled or lost in the war. Legally, some women were first able to vote in 1918, although full suffrage was not granted until the Representation of the People Act of 1928. When she was 29, Dorothy Sayers fell in love with novelist John Cournos; it was the first intense romance of her life. He wanted her to ignore social mores and live with him without marriage, but she wanted to marry and have children. After a year of agony between 1921 and 1922, she learned that Cournos had claimed to be against marriage only to test her devotion, and she broke off the relationship. Her heart broken, Sayers rebounded by becoming involved with Bill White, an unemployed motor car salesman. After a brief, intense and mainly sexual relationship, Sayers discovered that she was pregnant. White reacted badly, storming out "in rage and misery" when Sayers announced her pregnancy. Sayers hid from her friends and family in fear of how her pregnancy might affect her parents, who were then in their seventies. She continued to work until the beginning of her last trimester, at which point she pleaded exhaustion and took extended leave. She went alone to a "mothers' hospital," Tuckton Lodge, Iford Lane, Southbourne, Hampshire (now in Dorset, following boundary changes) under an assumed name and gave birth to John Anthony on January 3, 1924. She remained with John for three weeks, nursing and caring for him. The sole responsibility for a child prevented Sayers's return to her life and work. Her aunt and cousin, Amy and Ivy Amy Shrimpton, supported themselves by taking care of foster children. Ivy agreed to take the child. Only after they had agreed did Sayers send her another letter in an envelope marked "Strictly Confidential: Particulars about Baby" which revealed the child's parentage and swore her to silence. Neither Sayers's parents nor Aunt Amy were to know. Sayers's friends learned of John Anthony's existence only after her death in 1957 as the only beneficiary under his mother's will. However, Sayers communicated regularly with her son by mail. Shortly before he died in 1984 John Anthony said that his mother "did the very best she could." In 1924-1925, Sayers wrote 11 letters to John Cournos about their unhappy relationship, her relationship with White, and that with her son. The letters are now housed at Harvard University. Both Sayers and Cournos would eventually fictionalize their experience: Sayers in Strong Poison, published in 1930, and Cournos in The Devil is an English Gentleman, published in 1932. Two years later, by which time she had published her first two detective novels, Sayers married Captain Oswald Atherton "Mac" Fleming, a Scottish journalist whose professional name was "Atherton Fleming." The wedding took place on April 8, 1926 at Holborn Register Office. Mac was divorced with two children, which in those days meant they could not have a church wedding. Despite this disappointment, her parents welcomed Mac into the fold. Mac and Dorothy lived in the apartment at 24 Great James Street in St. Pancras that Dorothy maintained for the rest of her life. The marriage began happily with a strong partnership at home. Both were working a great deal, Mac as an author and journalist and Dorothy as an advertising copywriter and author. Over time, Mac's health worsened largely due to his World War I service and as a result he became unable to work. His income dwindled while Sayers's fame continued to grow and he began to feel eclipsed. Although he never lived with them, Tony was told that "Cousin Dorothy" and Fleming had adopted him when he was ten. (As the legal parent, Dorothy had no need to adopt him. Fleming had agreed to adopt her son when they married, but it was never officially done.) Sayers continued to provide for his upbringing, although she never publicly acknowledged him as her biological son. Sayers was a good friend of C. S. Lewis and several of the other Inklings. On some occasions, Sayers joined Lewis at meetings of the Socratic Club. Lewis said he read The Man Born to be King every Easter, but he claimed to be unable to appreciate detective stories. J. R. R. Tolkien, however, read some of the Wimsey novels but scorned the later ones, such as Gaudy Night. Mac Fleming died June 9, 1950, at Sunnyside Cottage, Witham, Essex. Dorothy died suddenly of a stroke on December 17, 1957 at the same place. She had purchased numbers 20-24 Newland Street Witham (subsequently known as Sunnyside) in 1925 as a home for her mother following the death of her father, but on the death of her mother on July 27, 1929 at The County Hospital, Colchester, she occupied it herself. Mac was buried in Ipswich, whilst Dorothy was cremated and her ashes buried beneath the tower of St Anne's Church, Soho, where she had been a churchwarden for many years. Tony died November 26, 1984 at age 60, in St. Francis's Hospital, Miami Beach, Dade County, Florida. Dorothy Sayers' first book of poetry was published in 1916 as Op. I by Blackwell Publishing in Oxford. Later Sayers worked for Blackwell's and then as a teacher in several locations including Normandy, France, just before World War I began. Sayers is also credited with coining the phrase "It pays to advertise." She used the advertising industry as the setting of Murder Must Advertise. Lord Peter Wimsey burst upon the world of detective fiction with an explosive "Oh, damn!" and continued to engage readers in ten novels and two sets of short stories; the final novel ended with a very different "Oh, damn!" Sayers once commented that Lord Peter was a mixture of Fred Astaire and Bertie Wooster, which is most evident in the first five novels. However, it is evident through Lord Peter's development as a round character that he existed in Sayers' mind as a living, breathing, fully human entity. Sayers introduced detective novelist Harriet Vane in Strong Poison. Sayers remarked more than once that she had developed the "husky voiced, dark-eyed" Harriet to put an end to Lord Peter via matrimony. But in the course of writing Gaudy Night, Sayers imbued Lord Peter and Harriet with so much life that she was never able to, as she put it, "see Lord Peter exit the stage." Sayers did not content herself with writing pure detective stories; she explored the toll on World War I veterans in The Unpleasantness at the Bellona Club, discussed the ethics of advertising in Murder Must Advertise, and advocated women's education (a then-controversial subject) in Gaudy Night. Sayers' Christian and academic interests also shine through in her detective stories. In The Nine Tailors, one of her most well-known detective novels, the plot takes place largely in and around an old church dating back to the Middle Ages, and the writer's familiarity with and affection for such a milieu is very evident. Change ringing of bells also forms an important part of the novel. In Have His Carcase, the Playfair cipher and the principles of cryptanalysis are explained. Her short story Absolutely Elsewhere refers to the fact that (in the language of modern physics) the only perfect alibi for a crime is to be outside its light cone, while The Fascinating Problem of Uncle Meleager's Will contains a literary crossword puzzle. Sayers also wrote a number of short stories about Montague Egg, a wine salesman who solves mysteries. 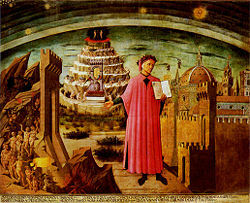 Sayers considered her translation of Dante's Divina Commedia to be her best work. The badly-titled Hell appeared in 1949, as one of the recently introduced series of Penguin Classics. Purgatory followed in 1955. Unfinished at her death, the third volume (Paradise) was completed by Barbara Reynolds in 1962. The idiosyncratic character of Sayer's translation results from her decision to preserve the original Italian terza rima rhyme scheme, so that her "go in by me" rhymes with "made to be" two lines earlier, and "unsearchably" two lines before that. Umberto Eco in his book Mouse or Rat? suggests that, of the various English translations, Sayers "does the best in at least partially preserving the hendecasyllables and the rhyme." Sayers' translation of the Divina Commedia is also notable for extensive notes at the end of each canto, explaining the theological meaning of what she calls "a great Christian allegory." Her translation has remained popular. In addition to new translations by Mark Musa and Robin Kirkpatrick, Penguin Books was still publishing the Sayers edition in 2008. "(…) That new-washed world of clear sun and glittering colour which we call the Middle Age (as though it were middle-aged) but which has perhaps a better right than the blown rose of the Renaissance to be called the Age of Re-birth". She praised "Roland" as a purely Christian myth, in contrast to such epics as Beowulf in which she found a strong Pagan content. Sayers' most notable religious book is probably The Mind of the Maker (1941) which explores at length the analogy between a human Creator (especially a writer of novels and plays) and the doctrine of The Trinity in creation. She suggests that any human creation of significance involves the Idea, the Energy (roughly: the process of writing and that actual 'incarnation' as a material object) and the Power (roughly: the process of reading/hearing and the effect it has on the audience) and that this "trinity" has useful analogies with the theological Trinity of Father, Son and Holy Spirit. In addition to the ingenious thinking in working out this analogy, the book contains striking examples drawn from her own experiences as a writer and elegant criticisms of writers when the balance between Idea, Energy and Power is not, in her view, adequate. She defends strongly the view that literary creatures have a nature of their own, vehemently replying to a well-wisher who wanted Lord Peter to "end up a convinced Christian." "From what I know of him, nothing is more unlikely …. Peter is not the Ideal Man." Her very influential essay, first presented at Oxford in 1947, has been used by many schools in the United States as a basis for the classical education movement, reviving the medieval trivium subjects (grammar, logic and rhetoric) as tools to enable the analysis and mastery of every other subject. Sayers also wrote three volumes of commentaries about Dante, religious essays, and several plays, of which The Man Born to be King may be the best known. Her religious works did so well at presenting the orthodox Anglican position that in 1943 the Archbishop of Canterbury offered her a Lambeth doctorate in divinity, which she declined. In 1950, however, she accepted an honorary doctorate of letters from the University of Durham. The literary and academic themes in Sayers' novels have appealed to a great many readers, but by no means to all. Poet W. H. Auden and philosopher Ludwig Wittgenstein were critics of her novels, for example. A savage attack on Sayers' writing ability came from the prominent American critic and man of letters Edmund Wilson, in a well-known 1945 article in The New Yorker called Who Cares Who Killed Roger Ackroyd? He briefly writes about her famous novel The Nine Tailors, saying "I set out to read [it] in the hope of tasting some novel excitement, and I declare that it seems to me one of the dullest books I have ever encountered in any field. The first part is all about bell-ringing as it is practised in English churches and contains a lot of information of the kind that you might expect to find in an encyclopedia article on campanology. I skipped a good deal of this, and found myself skipping, also, a large section of the conversations between conventional English village characters…." Wilson continues "I had often heard people say that Dorothy Sayers wrote well… but, really, she does not write very well: it is simply that she is more consciously literary than most of the other detective-story writers and that she thus attracts attention in a field which is mostly on a sub-literary level." The academic critic Q.D. Leavis, in a review of Gaudy Night and Busman's Honeymoon published in the critical journal Scrutiny, criticizes Sayers in more specific terms. The basis of Leavis's criticism is that Sayers' fiction is "popular and romantic while pretending to realism." Leavis argues that Sayers presents academic life as "sound and sincere because it is scholarly," a place of "invulnerable standards of taste charging the charmed atmosphere." But, Leavis says, this is unrealistic: "If such a world ever existed, and I should be surprised to hear as much, it does no longer, and to give substance to a lie or to perpetrate a dead myth is to do no one any service really." Leavis suggests that "people in the academic world who earn their livings by scholarly specialities are not as a general thing wiser, better, finer, decenter or in any way more estimable than those of the same social class outside," but that Sayers is popular among educated readers because "the accepted pretence is that things are as Miss Sayers relates." Leavis comments that "only best-seller novelists could have such illusions about human nature." Critic Sean Latham has defended Sayers, arguing that Wilson "chooses arrogant condescension over serious critical consideration" and suggests that both he and Leavis, rather than seriously assessing Sayers' writing, simply objected to a detective-story writer having pretensions beyond what they saw as her role as a purveyor of popular-culture. Latham claims that, in their eyes, "Sayers's primary crime lay in her attempt to transform the detective novel into something other than an ephemeral bit of popular culture." The characters in Sayers' novels reflect the culture of their time, and some of them express explicit racist, or anti-Semitic views. In particular, the portrayal of Jews in Sayers' fictional work has been criticized by some as stereotypical. In Gaudy Night, one of the characters (Padgett, the porter) even says "Wot this country wants is a 'Itler." However, another character (Miss Barton) writes a book attacking the Nazi doctrine of Kinder, Kirche, Küche, which restricted women's roles to family activities, and in many ways the whole of Gaudy Night can be read as an attack on that doctrine, having been described as "the first feminist mystery novel." Though perhaps offensive to the modern reader, the views expressed by characters in the novel must thus be taken as a reflection of the 1930s English society in which the novel was set, rather than as the author's own view. Some critics consider Sayers to be subtly criticizing misogyny, anti-Semitism, racism, and class distinctions in her novels. Even Lord Peter Wimsey does not necessarily reflect Sayers' own point of view: in Unnatural Death the author briefly criticizes her detective for condemning another character's "greediness" with "the unconconscious brutality of one who never lacked for money." Characters in Unnatural Death also display racist attitudes. For instance, a maid who refused to serve a person of color voices many racist sentiments, but the overall story upholds the person of color as a paragon of virtue (a minister, no less). Within the story, Miss Climpson, a sympathetic character, roundly condemns the maid's racism, although her own choice of language implies that she has (consciously or unconsciously) adopted what would now be felt to be racist assumptions herself. Later in the book, the murderer tries to blame the crimes upon a non-existent gang composed of Blacks and Jews, and the book shows how some policemen initially take up the racist canard and how it is eagerly picked up by the popular press; in her essay The Other Six Deadly Sins, Sayers comments that to "foment grievance and to set men at variance is the trade by which agitators thrive and journalists make money." In the end, the alleged plot is shown to have been a red herring fabricated by the real culprit. The 1923 novel Whose Body? involves several Jewish characters, notably the murder victim, Levy. Several other characters express anti-Semitic attitudes towards these Jews. The victim's butler, for example, states "I don’t hold with Hebrews as a rule." The medical students who dissect the victim's body refer to him by the highly racist term Sheeny. However, once again such views should be taken as a reflection of contemporary English society, and not as the author's own view. A more positive attitude is taken by one of Sayers's recurring (and sympathetic) characters, the Hon. Frederick Arbuthnot, who falls in love with the victim's daughter, to the cheerful acceptance of best man Lord Peter Wimsey. Both Arbuthnot and Wimsey are also shown to have positive contacts with Jews on a professional level. Sayers herself had a number of personal and professional associations with Jewish people. Her original publisher was Jewish, and the Chief Rabbi was a frequent visitor at her salons. She had had an unsuccessful relationship with a Jewish man (novelist John Cournos), and Barbara Reynolds, her friend and biographer, suggests that Whose Body? was influenced by thoughts of how society would have treated her as the wife of a Jew. Other biographers of Sayers have disagreed as to whether Sayers was anti-Semitic. In Dorothy L. Sayers: A Biography, James Brabazon argues that Sayers was anti-Semitic. This is refuted by Carolyn G. Heilbrun in Dorothy L. Sayers: Biography Between the Lines. McGregor and Lewis argue in Conundrums for the Long Week-End that Sayers was not anti-Semitic but used popular British stereotypes of class and ethnicity. Anti-Semitism was common in Sayers' social class before the Second World War, and Sayers may not have regarded herself as anti-Semitic. In 1936, a translator wanted "to soften the thrusts against the Jews" in Whose Body? ; Sayers, surprised, replied that the only characters "treated in a favorable light were the Jews!" Sayers' work was frequently parodied by her contemporaries (and sometimes by herself). McGregor and Lewis suggest that some of the character Harriet Vane's observations reveal Sayers poking fun at the mystery genre - even while adhering to various conventions herself. Jill Paton Walsh completed and published two novels about Peter Wimsey and Harriet Vane: Thrones, Dominations, based on Sayers's manuscript, left unfinished at her death; and A Presumption of Death, based on the "Wimsey Papers," letters ostensibly written by various Wimseys and published in The Spectator during World War II. E. C. Bentley, the author of the early modern detective novel Trent's Last Case, a work which Sayers admired, wrote a parody entitled "Greedy Night" (1938). Lord Peter Wimsey appears (together with Hercule Poirot and Father Brown) in C. Northcote Parkinson's comic novel Jeeves (after Jeeves, the gentleman's gentleman of the P.G. Wodehouse canon). Lord Peter Wimsey makes a cameo appearance in Laurie R. King's A Letter of Mary, one of a series of books relating the further adventures of Sherlock Holmes, and his equally talented partner and spouse, Mary Russell. Audrey Niffenegger, author of The Time Traveler's Wife, has claimed in interviews that her main characters, Henry and Clare, are loosely based on Sayers' Peter and Harriet. In the novel "To Say Nothing of the Dog" by Connie Willis, the characters of Ned Henry and Verity Kindle openly mirror the courtship of Lord Peter Wimsey and Harriet Vane. Sayers appears, with Agatha Christie, as a title character in Dorothy and Agatha [ISBN 0451403142], a murder mystery by Gaylord Larsen, in which a man is murdered in her dining room, and Sayers has to solve the crime. Sayers's god-daughter Barbara Reynolds has suggested that the character of Aunt Dot in Rose Macaulay's novel The Towers of Trebizond (1956) is based on Dorothy L. Sayers. Op. I (1916) . digital.library. University of Pennsylvania Retrieved January 8, 2009. Catholic Tales and Christian Songs (1918) . Christian Classics Ethereal Library. Retrieved January 8, 2009. Unnatural Death (1927). From the papers held by the Marion Wade Centre, it is clear that Sayers' original title was The Singular Case of the Three Spinsters. Sayers also wrote the scenario for the film The Silent Passenger (1935), a Lord Peter story which was never published in book form, and whose script was altered greatly by the film company from her original..
Five volumes of Sayers' letters have been published, edited by Barbara Reynolds. ↑ Penguin Books Retrieved December 17, 2008. ↑ Dorothy L. Sayers, The Lost Tools of Learning (ISBN 9781600510250).gbt.org. Retrieved January 8, 2009. ↑ Edmund Wilson, "Who Cares Who Killed Roger Ackroyd?" Originally published in New Yorker, January 20, 1945. ↑ Randi Sørsdal. From Mystery to Manners: A Study of Five Detective Novels by Dorothy L. Sayers. (Masters thesis, 2006. (University of Bergen), 45, online Retrieved December 17, 2008. ↑ From a letter Sayers wrote to David Highan, November 27, 1936, published in Sayers' Letters. Heilbrun, Carolyn G., 'Dorothy L. Sayers: Biography Between the Lines' in Sayers Centenary. Sayers, Dorothy, Op. I(poetry): Online digital.library Univ. of Pennsylvania. Retrieved December 17, 2008. Sørsdal, Randi. From Mystery to Manners: A Study of Five Detective Novels by Dorothy L. Sayers. Masters thesis, University of Bergen. Online Retrieved December 17, 2008. History of "Dorothy L. Sayers"
This page was last modified on 11 October 2017, at 20:02.